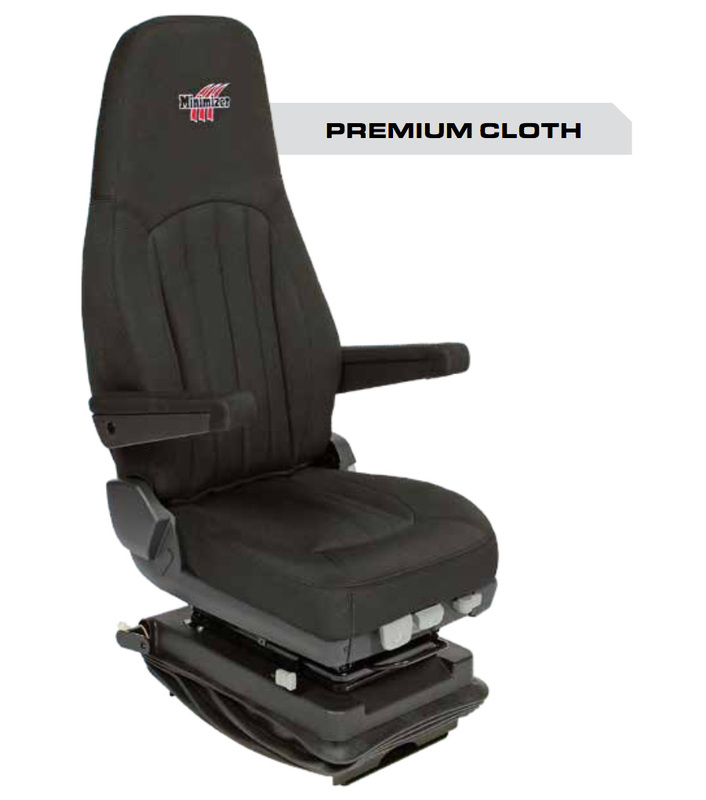 The Minimizer™ Heavy Duty Semi Truck Seat System is designed with the driverÕs health and safety in mind. 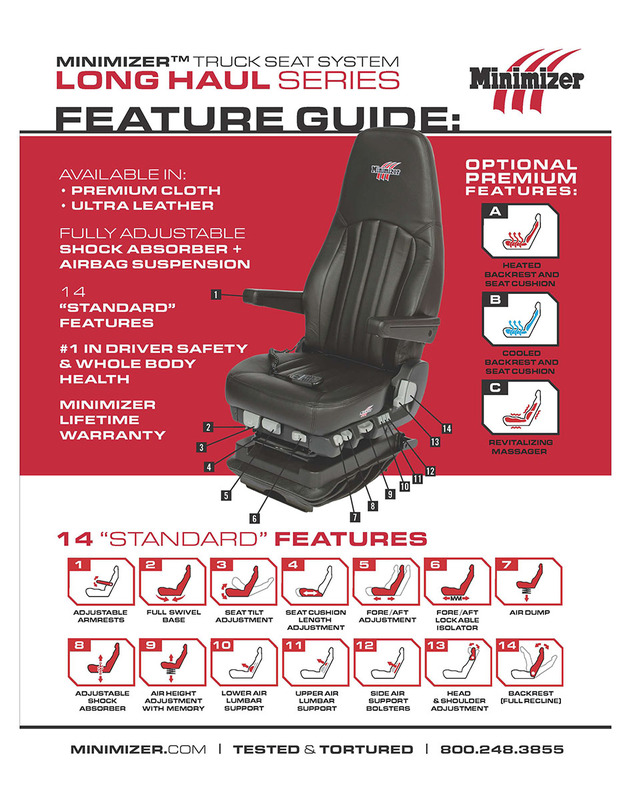 Leveraging decades of research in seats and suspensions, Minimizer™ has incorporated ergonomics, safety and whole body health into one ÒsystemÓ that provides all of the desired features requested by professional drivers, and more! 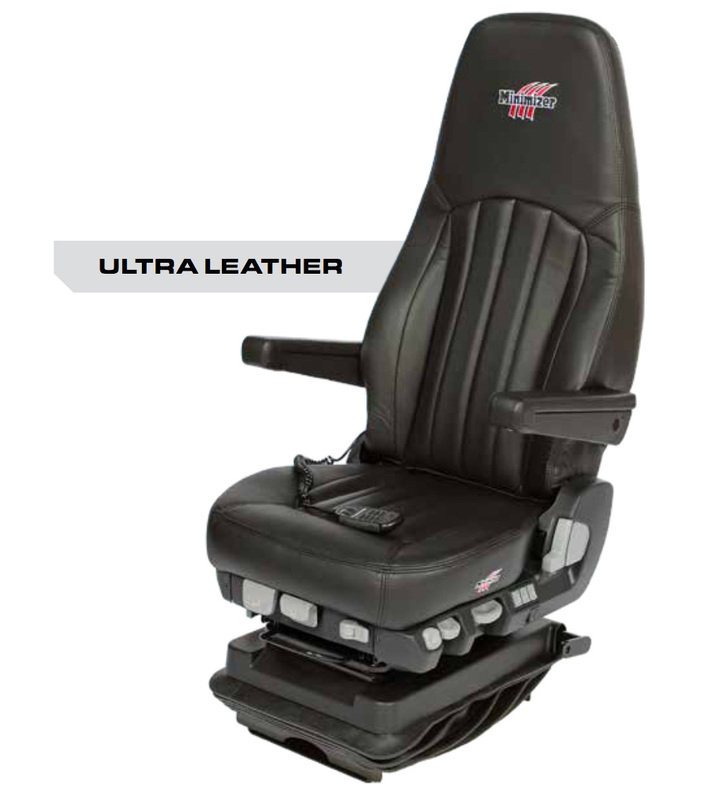 The Minimizer™ Heavy Duty Semi Truck Seat System meets the physical and functional demands that are inherent to operating big trucks. Minimizer are so sure that these seats will provide the comfort, support, safety and durability you require, they cover these seats with the Minimizer™ Lifetime Warranty. * Look below for more information about how great the Long Haul System will be for you and your health. Installing the Minimizer™ Heavy Duty Semi Truck Seat System is easy using one of the five seat risers. 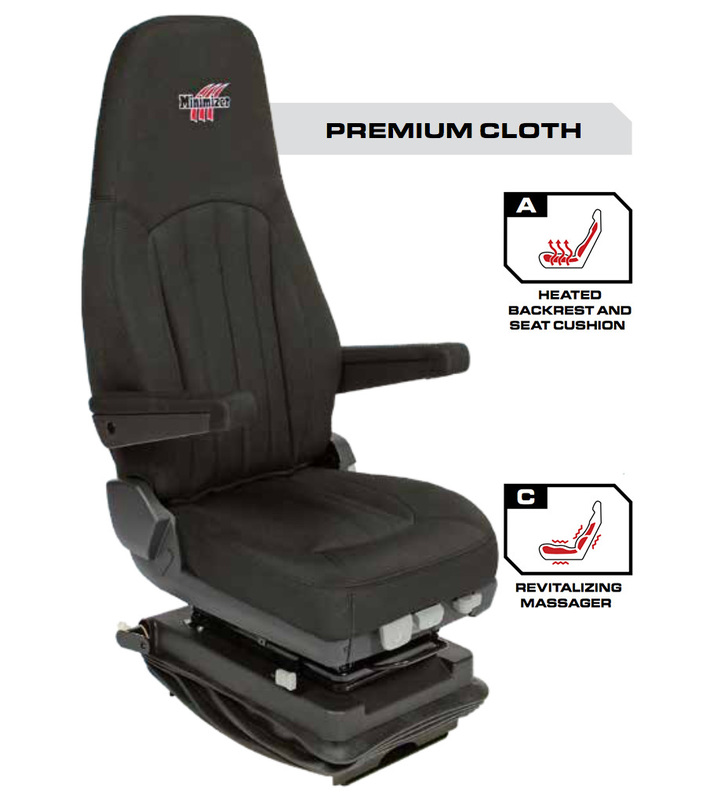 The majority of trucks will use the Universal Seat Riser, but some makes and models will require a special riser plate to ensure a proper installation. 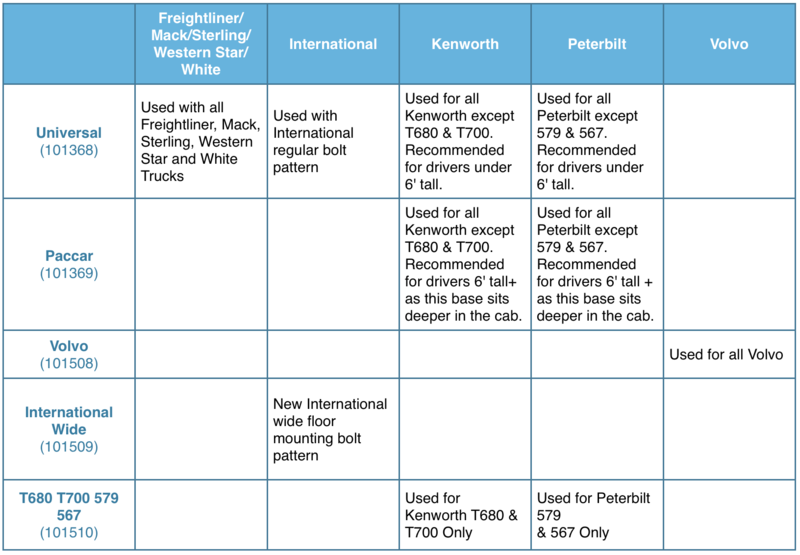 See the chart below to find the riser thatÕs right for your truck. Use the below chart to determine which riser youÕll need for your truck, or visit the Minimizer site and enter your truck make and model. F.1 Certain Mechanical Components. SCSI warrants that the suspension system, controls, heating element, cooling components, and revitalizing components of Minimizerª seats will be free from defects in materials and workmanship at the time of delivery and for the useful life of the product, subject to the Warranty Conditions and subject to the additional limitations stated below. F.2 Seams and Other Components. For all other components, SCSI warrants that the products will be free from defects in materials and workmanship at the time of delivery and for a period of (1) one year.